Graduation never looked so good. Are you looking to edit an old home video? Just want to laugh at that embarrassing family reunion with your kids? LA Video Transfer will transfer your VHS tapes to DVD or digital file. The VHS format was developed in the early 70’s by JVC (Victor Company of Japan). It became the major consumer video format because it was easy to record to and playback. In the 80’s, collections of wedding videos, graduations, family events, and favorite movies were a common household item. VHS maintained this popularity until the mid 90’s, when DVDs were introduced and quickly took over. VHS tapes were never meant to last longer than 20 to 30 years. The tapes are prone to tears and wear out easily. Since the last VCR was made in July of 2016, it’s becoming difficult to find a player to playback all of those precious memories. If you haven’t kept your old VCR for the last couple of decades, you may think you can never view those tapes again. We can reconnect you to those cherished times! We know how fragile old VHS tapes can be. We professionally preserve your VHS tapes in the highest possible quality. We use industry grade decks and high quality digitizers to provide the best VHS transfers at a great price. We convert VHS PAL and VHS SECAM! 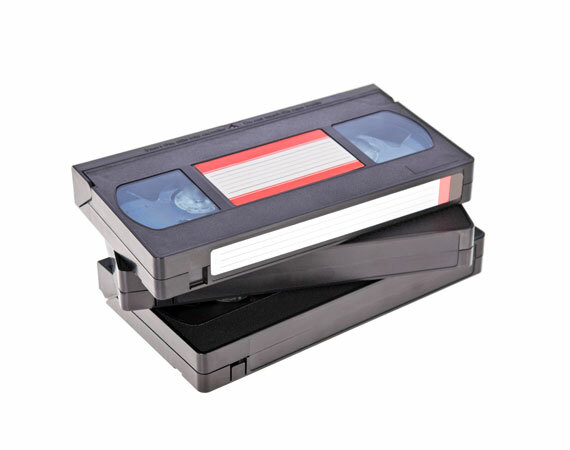 Our video transfer service takes your VHS tapes and converts them to a custom-labeled DVD or digital file. We will help you select the best format for your needs.